I took a break from Catster after the changes but have been lurking. Since I was last here I adopted a kitten with severe Cerebellar Hypoplasia. He's 2 years old now but barely 6 pounds so he's like a perma-kitten. He was born at my veterinarian's office as an only kitten. The owner(s) could care for him so the veterinary staff saved him and nursed him until he could go to his forever home with me. They didn't know if he'd survive so they didn't name him and just called him "Mousey" since he looked like a little mouse. 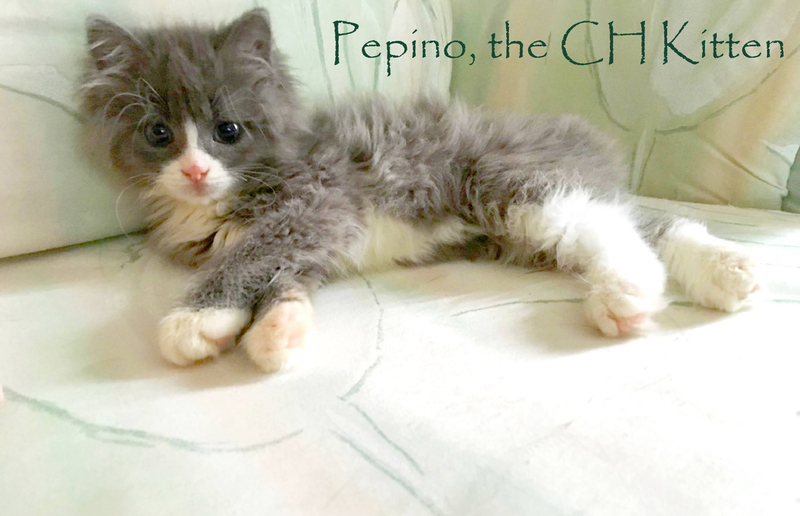 When I adopted him I named him Pepino after a silly song I would listen to over-and-over when I was a child (Pepino the Italian Mouse). Glad to be back everyone! Oh he is so beautiful Little fella. Bless your soul for adopting him & giving him a very happy loving home!